How does branding help a non-profit? Does it really do them good? Reading this statement, we’re already given a glimpse of the importance of branding to raise funds. But let’s delve deeper into it. What’s the trend? Many of the leading non-profit organizations in America get services of brand experts and agencies to help improve people’s way of experiencing and engaging with non-profits. What’s the controversy? There are those types of fundraisers who believe otherwise. They claim that branding doesn’t raise money; and worse, they say that new brand guidelines sometimes actually get in the way of fundraising success. Realistically speaking, organizations and companies have learned that if you build positive brand recognition for a product, people will be more inclined to buy it. 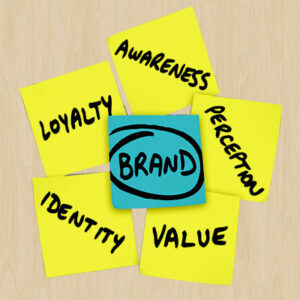 A strong brand has the capability to guide and motivate purchases. Charitable giving works very similar with media-fueled calamities. Earthquakes and hurricanes that are aggressively being covered by the media often push people to provide a helping hand. The disaster plus media coverage create the distinguished need to respond. This then encourages donors to donate to organizations with strong brand presence. But the problem is, when it comes to giving to charity, it doesn’t exactly work the same way. In spite of the web sites that claim to be channels to charitable giving, it doesn’t really become successful if it does not get exposure from the media. Let’s put it this way; if your cause gets regular media attention resulting to regular raise in funds, then building a strong brand is important. But, if it’s the complete opposite, then it’s just not enough to create and build a non-profit brand – not yet, at least. Sometimes, we just need to start from square-one when brand-building. Who needs them? 1. Organizations that are not perceived as they wish to be. 2. Those that have changed. 3. Group whose current brand image does not positively influence their peers. Establish a team that consists of individuals who represent different parts of your organization. This brings more ideas on the table and shows unity and oneness. Draw them into your organization. Using what you’ve learned through research and experience, think of ways to appeal to donors and prospects. Identify important connections. Figure out which group’s interest, participation, and commitment are critical to the organization’s success. What’s your current status with them? What should you do to establish a strong bond? Your mission and vision statement should be genuine. If you’re being honest, more people would want to connect and help. Examine your brand promise. Have you given any promises? Do you follow through? Showcase stories that denote—and put a face on—how your organization makes a difference. Your logo is important. Do they mean what you want them to? Or are they sending wrong signs? Spread the word. Let everyone know the message you want to share. Craft a communications architecture that helps establish consistent contact. Engage your organization. Provide the thinking, tools, and training so that everyone can effectively share and speak on the organization’s behalf. Befriend social media. This is one of your most powerful weapons. Use it in a way that will reflect positively on your organization. Your brand is your baby. Make sure you take care of it, you make it bigger and better, and you not let it be tarnished. There we have it. Branding is important when trying to push for something that is as important as fundraising. This is quite a different way to produce funds for your organization, but will surely be rewarding. It will help a lot as long as you use your means wisely. But of course, there are non-profit grant writing services out there that’ll be more than willing to help you out by guaranteeing you get the financial help you’ll need for your organization’s support.